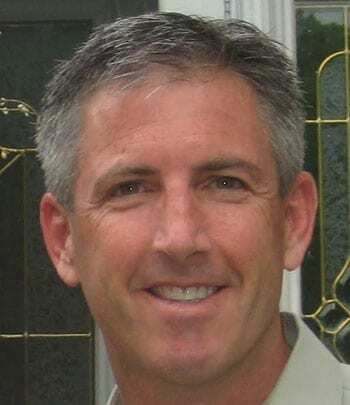 BudgetShred LLC is a Maryland based locally owned and operated business that was established in 2008 by retired Military Officer John Hagerty. Since our inception, we have assisted many residents and businesses in the Annapolis, MD community with our paper shredding services. Paper shredding is a safe and secure way to permanently get rid of confidential documents and papers. BudgetShred works with clients to protect the privacy of their personal matters or business. Paper shredding companies do all the shredding for you to eliminate the hassle of destroying the documents yourself with a tiny, home shredder. By being the most secure paper shredding business in the industry, we guarantee your anonymity and peace of mind. 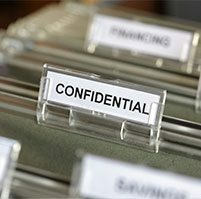 Business – BudgetShred helps all businesses in Annapolis, MD with secure document shredding. We can either provide a routine pickup and shredding or a one-time purge. Our convenient and hassle-free routine shredding service can be provided weekly, bi-weekly or monthly based on the needs of your business. You can expect a reliable and timely pick-up at the lowest possible price. For our routine business paper shredding clients, we supply the locked containers and bins at no extra cost. We even offer different sizes and styles for you to choose from. Our customer service reps can help you choose which one will most accurately fit your volume and atmosphere. If our business only needs a one-time purge of documents, all you need to do is call to schedule a pick-up and we will charge you by volume. Residential – Shredding your personal documents is more important than you may think. Did you know that identity theft occurs about every 3 seconds? Any document with personal information should be destroyed and disposed of properly to avoid this crime from happening. We can either provide a routine pickup and shredding or a one-time purge. 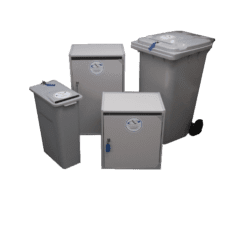 BudgetShred offers shred containers and bins at no additional cost to our residential and home office clients in Annapolis, MD. Our residential paper shredding program allows you to keep the bin for as long as you need. All you need to do is call us for pick-up when the bin is full! We offer next day pickup and destruction services. We also offer monthly and bi-monthly pick up programs for your home-based business. Every driver that is sent to pick up documents to be shredded is bonded. Each truck is GPS monitored and locked while in route to a secure shredding facility closest to your location. Upon arrival, all documents that are shredded at the secure facility are being overseen by one of the owners and ex-military veterans. We document the Chain of Custody from the time we take possession of your materials until the time they are destroyed. Once your files have been destroyed, you will receive a certified document of destruction. BudgetShred complies with all regulations and security laws put in place by medical, CPA and law offices. We provide clients in these industries with Business Associate Agreements and comply with all HIPPA, NPI and GLB requirements. After shredding, we recycle all paper products to ensure proper destruction. To get started, give us a call at (888) 747-3356, or request an instant quote online today.